The ceremony takes place in a romantic garden with stunning sea views (as in the main picture). 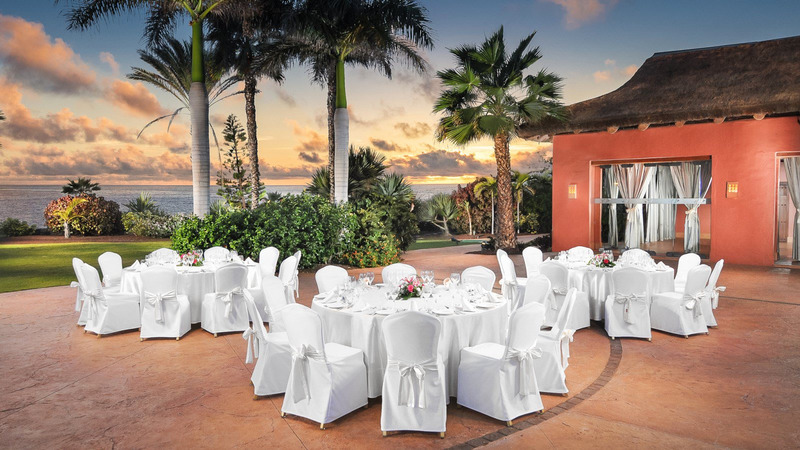 Tenerife wedding parties up to 40 people enjoy their dinner in a stunning caney open - doors room as in the pictures. 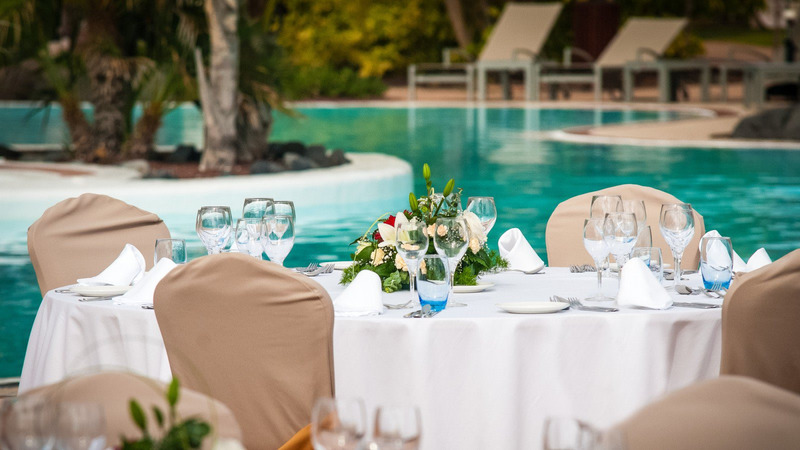 For big Tenerife wedding parties, a stunning outside set up is available by coral hotel;'s swimming pools. The after-party area is available too, where you can keep dancing till the early hours. Located in Del Duque, South Tenerife. Wedding menus start from 95€ per person, children's from 40€. Buffet menus available from the minimum of 80 people, 90 euros per person. Please note that the venue hire fee applies for wedding parties up to 30 people. Ceremony set up from 700€. Private inside area is available for an afterparty hire with personal bartenders and various entertainment. Tasting menu for 4 guests, up to 100 guests, late check-out for guests staying at the hotel, special accommodation prices for guests, the decoration includes chair covers, flowers on the tables, torches and a red carpet at the hotel entrance covered flower petals, first Anniversary Dinner, free banqueting room. 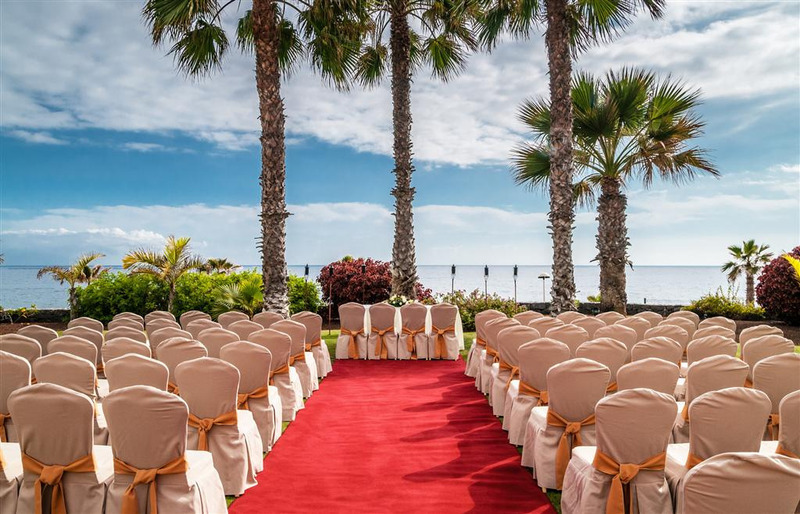 Complimentary night in this stunning South Tenerife hotel (for weddings parties over 25 people), VIP amenities in the wedding night suite, free entrance to Spa Eutonos for the bride and groom.